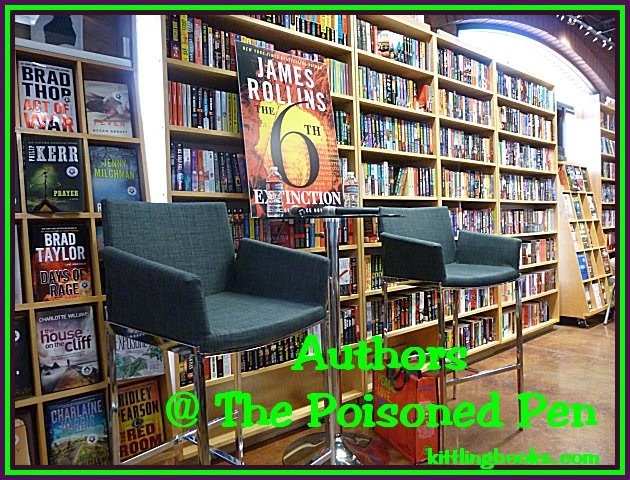 @ The Poisoned Pen with Susan Slater and Reavis Z. Wortham! When Denis and I headed over to The Poisoned Pen last Thursday, it looked as though we might get caught in a rainstorm-- the sky over the Valley was filled with several large groups of very dark clouds. It made me glad that we were traveling in the Jeep, which had an extended lift installed when we bought it to help us traverse some of those very rough trails here in the state. One night when Denis came home from an Arizona Diamondbacks baseball game, he discovered that the extra lift also helps keep us above water in flooded streets. But nary a drop of rain fell on us, and we made our purchases, reserved our seats, and sat at the table at the back of the store to read our books and chat with anyone who stopped by to see how we were doing. There were plenty of special surprises in store that evening: Barbara Peters' husband, Rob, had cooked up a big batch of chili and jalapeño cornbread; Barbara and Rob had also brought their dogs-- Odin, a 7-year-old Wire-haired Fox Terrier, and Nala, a 10-month-old bundle of sweetness the couple had recently rescued from a local animal shelter-- and when that evening's authors arrived, they brought a third with them. 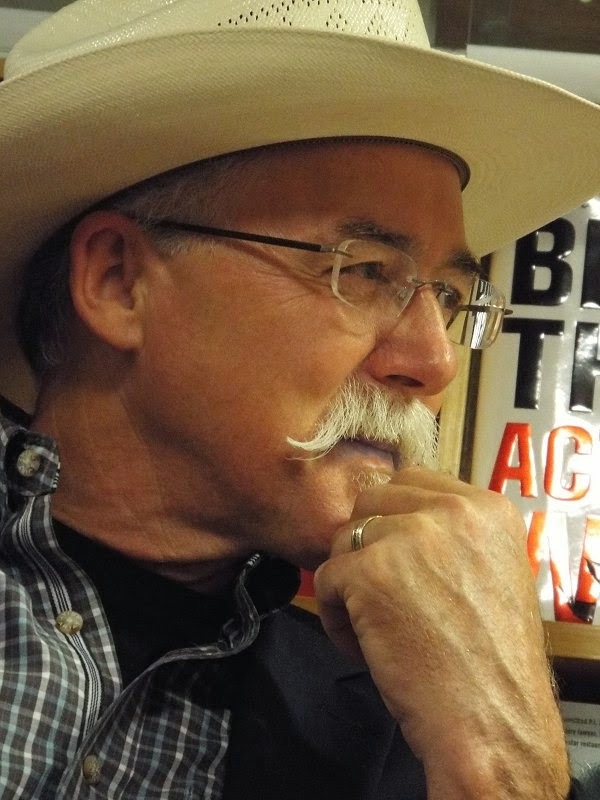 Not only would we be seeing Susan Slater, author of the Ben Pecos and Dan Mahoney mystery series set in New Mexico and Reavis Z. Wortham, author of the Red River mysteries set in 1960s Texas, Donis Casey had stopped by, too. 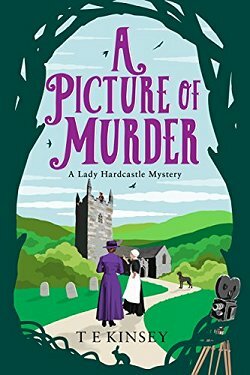 I love Donis's Alafair Tucker mysteries set in turn-of-the-twentieth-century Oklahoma, and she's so nice and so much fun that it's always a treat to see her. "Why do you write mysteries?" If you look closely at the picture above, at the bottom of it you will see Denis's arm as he gives Odin a good scratch, and Odin was appreciating it so much that Donis and Reavis were laughing. It was such a relaxed, informal evening that Barbara just had the authors take the conversation wherever they wanted. 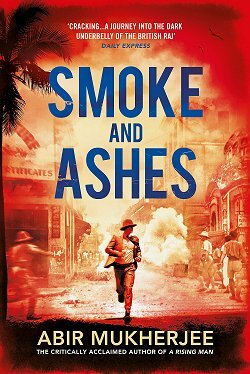 Susan Slater began by pointing out the twelve-year gap between her Dan Mahoney novels, Flash Flood and Rollover. She'd received emails from female fans who wanted "more Dan Mahoney," whom they likened to Craig Johnson's Walt Longmire, and she was more than happy to oblige. "Ever since I wrote The Pumpkin Seed Massacre I knew I wanted to go back to Wagon Mound, New Mexico, which is the site of an unsolved crime. It's a true story that's always fascinated me... of a bank robbery that targeted the safety deposit boxes instead of the vault," Susan told us. 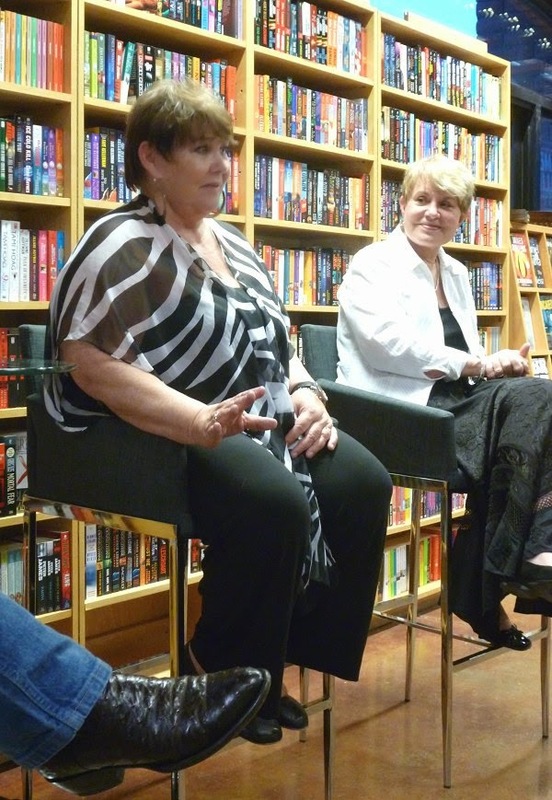 "Some of you have probably heard my answer to anyone who asks me why I write mysteries," Susan said. "It's to stave off Alzheimer's by coming up with plots that aren't easy to solve!" For many years, Slater lived in New Mexico, but now she calls Florida home. Barbara asked her about an incident that occurred in a pizza place near where Slater lives, and Susan was more than happy to fill in the details. It seems that the government had put someone in the Witness Protection Program, moved him down to Florida, and given him a job at Goomba's Pizza. The man broke his cover when he pistol-whipped a customer for bringing back an underdone calzone. Yikes! "Aunt, I made that stuff up!" There's something about Reavis Z. Wortham that says Texas. It might be the name. It might be the hat. Or the mustache and goatee. Or the jeans. Could even be those boots that have something to do with it. 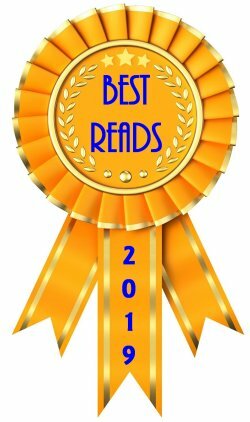 He writes the Red River mysteries, historical thrillers set in the 1960s that feature the first official black deputy in Lamar County, Texas. 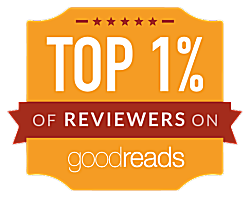 Vengeance Is Mine is the latest book in the series about a mobster who decides to hide out with his blonde bombshell of a girlfriend in small town east Texas. Those of us who grew up in small towns were very aware of one fact: there's no way someone like those two could hide out in a small town! Wortham has had readers take offense at the way dogs are treated in his books, saying that too many die-- all the while looking at him as though he's the murderer. "I don't kill dogs, my characters kill dogs!" Wortham states emphatically. "Why is it that you can kill 100 people in your book and people applaud, but if you kill one dog, you will get hate mail the likes of which you will not believe!" All the authors, as well as Barbara Peters and several of us in the audience, thought that people today do not realize that attitudes towards dogs were very different in the 1960s, and in particular the attitudes of people who lived out in the country. Wortham had an aunt chew him out for airing the family linen in his books where millions of people all around the world ("I wish!") were reading about it. "Aunt, I made all that stuff up!" Wortham told her. The aunt proceeded to hang up on him. "The way I grew up has disappeared." Donis Casey said, "The way I grew up has disappeared. People were self-sufficient and raised their children to be the same way." She went on to tell us that she set her Alafair Tucker series in the 1910s on purpose because "when most people think Oklahoma and historical series, they think Depression. During the time that I'm writing about, Oklahoma was one of the most progressive states in the country. There was a lot of wealth in the state, and it was also very strongly into unions. In fact, more more Oklahomans voted socialist than in any other state during that time period." Casey and Wortham then talked a bit about the mountains of eastern Oklahoma which is a very rough area in which people go to hide when they don't want to be found. (And they aren't.) Wortham is very familiar with the area because it's so close to his own neck of the woods in Texas. Back in the time period of the Alafair Tucker novels, there were a lot of stills and moonshine in that eastern section of Oklahoma. Now instead of stills, you'll find crystal meth. 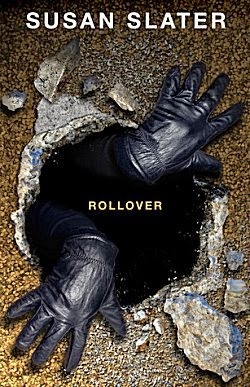 With all the talk swinging back to crime, Susan Slater told us more about her latest book, Rollover. 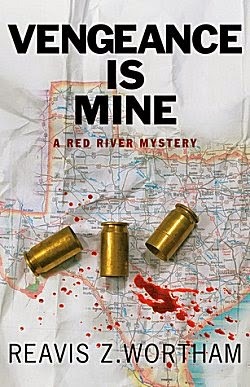 Her main character, insurance investigator Dan Mahoney, has been sent to Wagon Mound, New Mexico, because one of the safety deposit boxes that was broken into during the Bean Days celebration belonged to 85-year-old Gertie, and her extremely valuable diamond and sapphire Tiffany necklace is gone. The necklace had been in her family for generations and survived the sinking of the Titanic-- but it couldn't survive the Wagon Mound bank robbers. In fact, the necklace seems to be the focus of the robbery-- until other safety deposit box owners claim that they have items missing, too. Slater went to Wagon Mound and interviewed residents, finding that the robbery is still a hot topic of conversation even though it took place almost twenty years ago. "Everyone I interviewed said the same two things: it had to be an inside job, and it had to have something to do with drugs," Susan said. The conversation took a bit of a bizarre turn when Slater mentioned wanting to leave Albuquerque after having lived there for several years. "I picked up an Englishman and a dozen goats... not necessarily in that order... and I moved," she told us. "It doesn't say much about a relationship when the best thing you did together was dehorn baby goats," she added. The look on Wortham's face was priceless, and I wished I hadn't put my camera away. As the evening began to draw to a close, Barbara asked the authors what they're working on now. Susan Slater told us that Dan and Elaine would next be seen in Florida, and Reavis Wortham said that his next Red River mystery would take place in 1967 and involve three missing businessmen. Donis Casey said, "I'm going to have to deal with World War I. I'm learning that President Wilson wasn't that great a guy. He took away some of our civil liberties, and he made miscegenation [marriage between races] illegal, for example." Someone in the audience asked Wortham about the way he writes his books. "I don't know what's going to happen until I write it," he said with a laugh. "No, it's true! Burrows? The entire thing was a dream." He went on to explain that he often has recurring dreams and that they sometimes work themselves out in his books as he writes. As we adjourned to talk books and enjoy more of Rob's chili and cornbread, I had Susan and Reavis sign my books, and we talked for a bit about life in small towns. Denis had-- as usual-- looked up their books on his phone during the event and ordered available audiobooks, and-- as usual-- we enjoyed talking over our favorite parts of the evening on the way home in the rain. I've already read and enjoyed Rollover, and after reading the first fifty pages of The Rock Hole (the first Red River mystery), I can tell that I'm already falling for Wortham's books. I will never, ever run out of good books to read-- especially if I keep going to the author events at The Poisoned Pen! What can I say? The folks at The Poisoned Pen know how to treat people right! I'm glad you enjoy this feature, Margot, because I certainly enjoy attending! I see you are going to have William Kent Krueger featured on your blog. I will be looking forward to that post. I love his books. Glad you enjoyed it, Elizabeth! 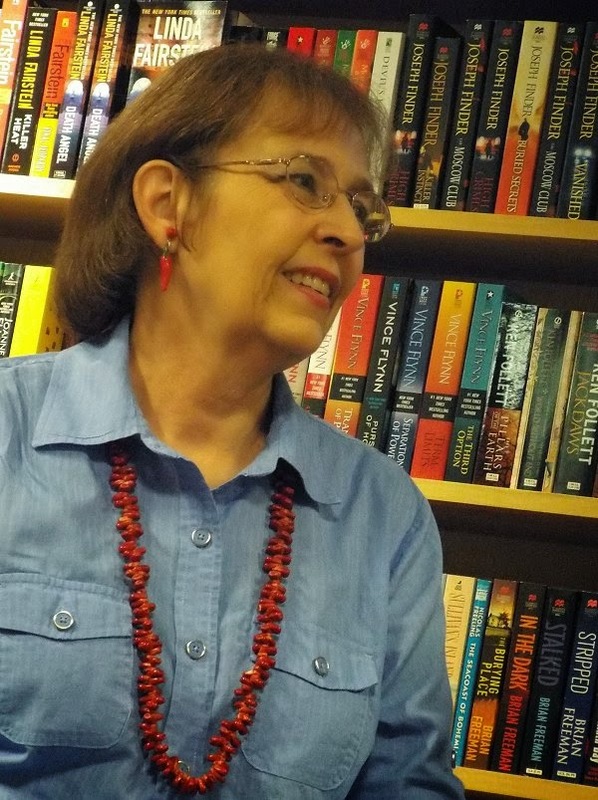 Krueger will be appearing at The Poisoned Pen with Margaret Coel on Wednesday. Denis and I will be there! Well, I can certainly understand if they don't want to come here in the summer-- although I think I know the draw we have. Pittsburgh needs to have its own Barbara Peters! You do have a draw. What city do you live in? Phoenix. The Poisoned Pen is in our next-door neighbor, Scottsdale. Don't any of these authors ever come east of the Mississippi River? Geez. You'd think some would make it to the Big Apple occasionally. 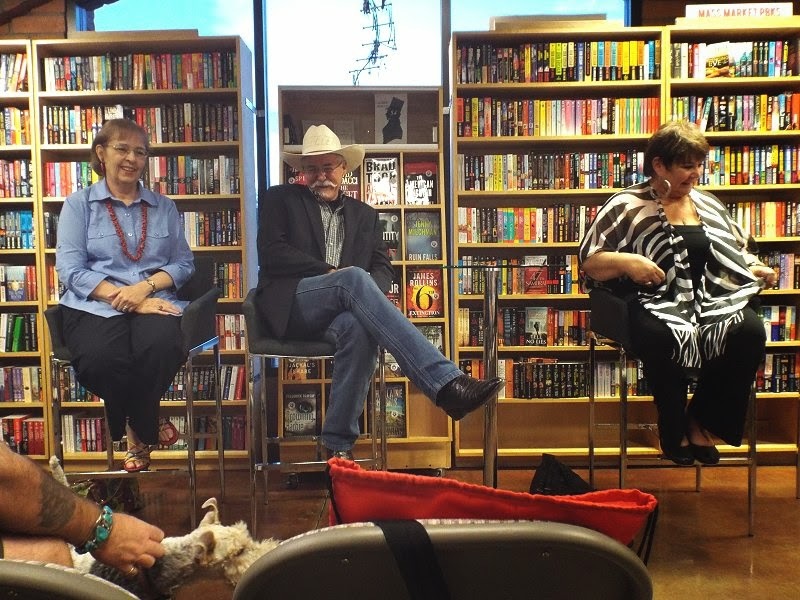 even dogs at events with authors, lots of good humor, and, of course, books. laughing your way through the evening. These writers are hilarious. some good books ahead of you.